يقع في مركز مدينة أوكلاند, The Sebel Suites Auckland إنه المكان الأنسب لاكتشاف أوكلاند و ما يحيطها. يمكن من هنا للضيوف الاستمتاع بسهولة الوصول إلى كل ما تقدمه هذه المدينة النابضة بالحياة. يشكل هذا الفندق ملاذاَ مريحاً للاسترخاء ويمنح زواره فرصة للاستجمام والتجدد، وهو يقع على بعد خطوات من المعالم السياحية الكثيرة للمدينة كمثل: زاي ام سي ايه اوكلاند, فيادكا باسن, تيبيد باث. 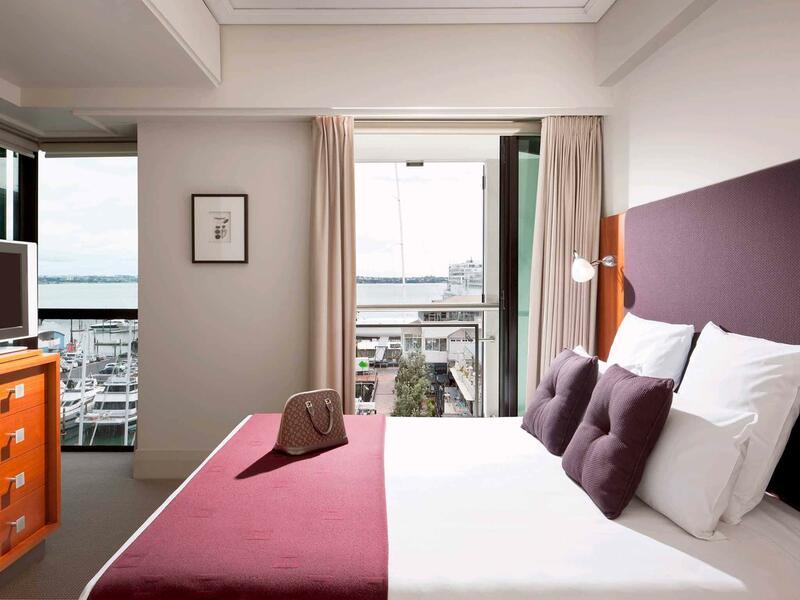 إن حسن الضيافة والخدمات الراقية التي تعرف بها Accor Hotels تغني تجربتك في The Sebel Suites Auckland. هذه بعض الخدمات الموجودة في هذا الفندق: خدمة الغرف على مدار الساعة, مكتب الاستقبال على مدار الساعة, تسجيل وصول/خروج سريع, تخزين الأمتعة, صف السيارات. يمكن للنزلاء الاختيار من ضمن مجموعة من الغرف المصممة بعناية لتعكس جواً من الراحة، والتي يتجاوز عددها 124. إن حوض استحمام ساخن, مركز للياقة البدنية هو المكان الأمثل في الفندق للاسترخاء وتفريغ طاقتك بعد نهار طويل. 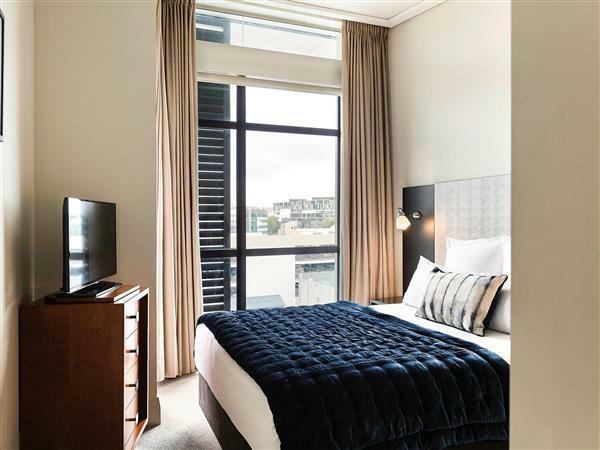 إن كنت تتطلع إلى إقامة مريحة وهادئة في أوكلاند، فستجد في The Sebel Suites Auckland بيتك الثاني. Good hotel within walking distance to city centre, harbourfront, attractions and restaurants. Good views of the harbourfront. Rooms were well maintained one bedroom suites with kitchenette. Helpful staff! Would stay again. The location is great and the double glazing great for stopping the noise from the Viaduct nightlife. Overall the décor is showing signs of being tired and the internal doors, kitchen units a bit scuffed and don't close neatly. So for the price charged - I would expect a better level of fitout. The car parking spaces are tiny - my recommendation would be to have a city run about - certainly not a family saloon if you want to park at the Sebel. Honestly this is a great hotel to stay in, with exceptional cleanliness and spacious rooms. Unfortunately however the wifi situation is extremely dated and expensive, ditto calling rates - with no guest information book provided in the room, a bit of a nasty shock at check out paying $44 for a five minute phone call. Apart from that, great place! We spent 3 days in a marina view suite. It was very comfortable and clean with great facilities to self cater including an oven and dishwasher. We loved the view of the marina from our suite and trying out the variety of good restaurants on the marina. It is also well located for the ferry port. We will stay there again when we visit Auckland. The hotel staff was extremely helpful with handling our luggage. We had a tight schedule, dropping off our luggage and getting to an appointment. The staff took our luggage and transferred it to our room when available. The room was large and very comfortable. Again the staff was most helpful from our first walking through the door all the way to our exiting the hotel after checking out of the hotel. We highly recommend the hotel and should we ever return to Auckland, we will stay there. The best thing about this hotel is the ability to visit bars and restaurants close by and sign for drinks and meals to you room account. Great for business and leisure, everything walkable, there is nothing to dislike about this hotel, great reception staff too! Taxis if needed always outside. All in all great value for money. Fantastic location, directly at the Viaduct. Just beautiful there, with a lot of things to do. Of course great food everywhere around. One cool feature of the hotel, you can eat at several restaurants around the hotel and book it to your room. Large and comfortable rooms with a small kitchen to take care of yourself. the staff at the front desk were very attentive and the location was great. i walked to all the various restaurants and harbor front sights. the rooms were impressive and very well decorated. i was very pleased with my stay. Perfect location by the Viaduct Wharf. Back hotel door connects to the wharf of restaurants row. Stayed in Studio room. Clean and decent room with microwave and washing machine. Too bad no free wifi in the public area. Excellent facilities. Great New Year's Eve location. Ideal unit. We entertained some friends who needed to go through a security check to get to our room - we were impressed with htis aspect of our stay. We also appreciated the convenience of off street undercover parking facilities. booked a room to celebrate my partners birthday. from the time we checked in to check out the stay was perfect. it was nice welcome, the room was perfect (ample space - a lounge and a seperate bedroom, nice bath and the other facilities in the room), good view. the only small bad point - we asked for milk in the morning and said it would be available in 10min or so but had to call a second time after 25min to have it delivered. but apart from that small glitch - it was perfect. A lovely quiet spacious room. Located nice and close to all amenities. Was perfect for our needs as we had an important function at the Hilton hotel. Was a short ten minute walk away. The staff were friendly and helpful. When an issue arose with our shower it was fixed very quickly with very little if any disturbance to us. we found the staff polite and friendly. our room was lovely and tidy. enough space for the two of us. the location was so close to the viaduct and restaurants/bars which was fantastic. car parking was ok - had a bit of a tight space being last in. this was my second stay at the sebel suites. its clean, the staff are very friendly and helpful. my studio room was big, clean, quiet (despite being so close to the bars, restaurants and cafes) and very comfortable with everything i needed, including washing machine and dryer! 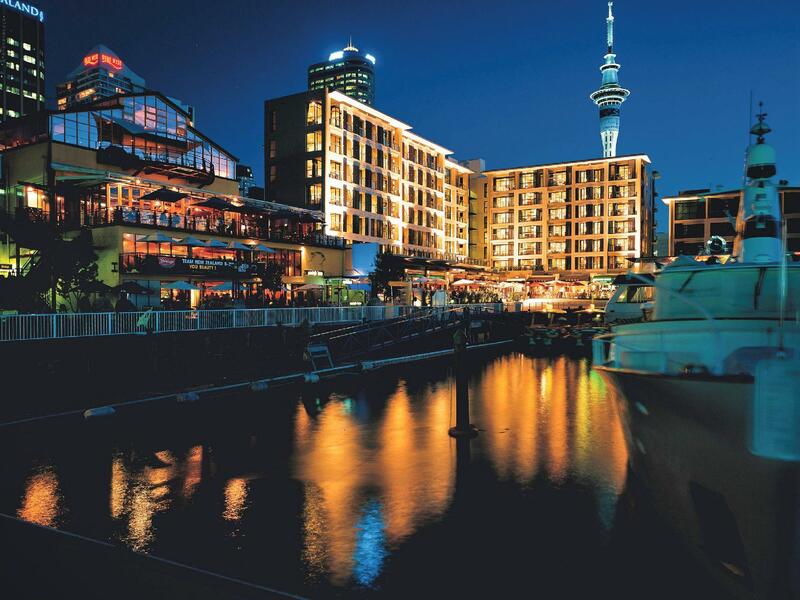 its a short walk into auckland city business district and a number of the cafes/restaurants allow you to charge back to your room.